Wood flooring is any product manufactured from timber that is designed for use as a floor, either structural or aesthetic. Wood is a common choice as a flooring material due to its environmental profile, durability, and restorability.With hundreds of choices in woods, colours, and finishes available wood flooring fills your home with unparalleled warmth and enduring beauty that never goes out of fashion. The type of sub-floor you have may determine the type of product you are able to use. There are three main types of installation; floating , nail-down and stick-down. It is hard to imagine a house being cosy without the warmth of wood flooring. 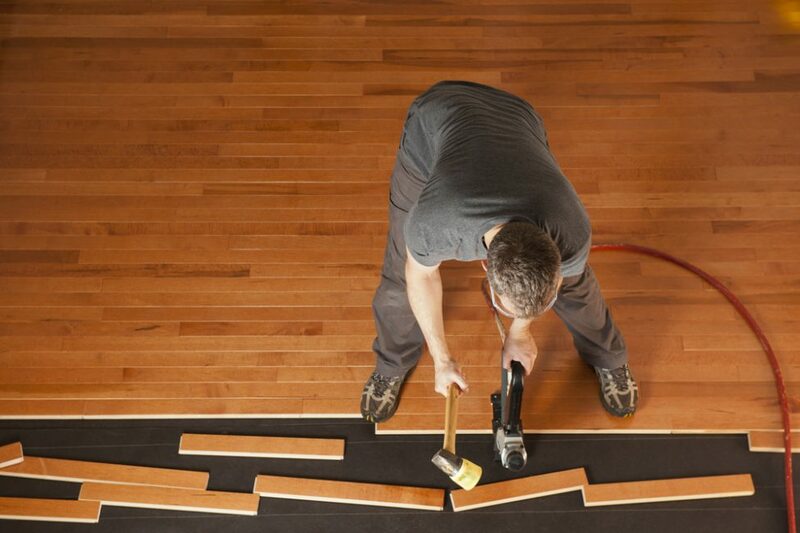 The quickest way to get a new wood floor,is to install a floating floor. Unlike traditional solid-wood strips, a floating floor is not nailed down. Instead, the planks are either glued or snapped together. A floating hardwood floor, is a hardwood floor that is installed without attaching it to the subfloor below. These floors are an engineered wood, with wood plies adhered together to create a structurally stable product. This type of construction allows these floors to be installed over many different surfaces. Underlay should be installed over the subfloor to provide hardwood flooring with protection against moisture. Nail-down tongue-and-groove wood flooring remains one of the most beautiful, durable and popular methods of flooring installation. Nail-down is a method where hardwood floorings are nailed-down to the subfloors,and where mainly tongue and grooved floorings are used . At the time of nailing , the floors should be always laid perpendicular to the floor joist. We recommend not to use hardwood floors on the timber joist without any subfloor. This method of installation is for either engineered or solid wood flooring.A hard wood floor can be glued down on either a flat screed or wooden sub-floor. The sub-floor must be completely free of existing moisture .